How is Joint Debt Handled in an Illinois Divorce? In an Illinois divorce, the couple's assets are divided equitably. This means that instead of being split 50/50, they are divided among the partners according to each partner's personal needs and contributions to the couple's asset pool. Their debts, which can include their mortgage debt, their credit card debt, and any student debt accrued during the marriage, are also divided this way. This is because any financial transactions made during the marriage, other than a few key exceptions, are considered to be made by both parties. Purchases made this way are deemed to be marital property and debts accrued this way are marital debt. A prenuptial agreement is a document that an engaged couple signs before they are married that sets the guidelines for the division of their assets upon their divorce. A prenuptial agreement can also include directives for the disbursement of an individual's assets to his or her loved ones upon his or her death. Prenuptial agreements are often utilized by individuals who are entering their second or subsequent marriages as a way to ensure that their assets go to their children from their previous relationships in the event their new spouses survive them. They are also frequently used by business owners and other individuals who have built substantial wealth before getting married. Illinois Custody Evaluations: Are You Prepared? If you are a parent going through a divorce, you likely have your children's best interests in mind. When words such as "custody" and "visitation" start being used frequently, you may grow concerned that there is a chance you will be unable to spend as much time with your child as you desire. The best interests of a child are always the primary consideration when determining custody (now referred to as "allocation of parenting responsibilities"), but sometimes divorcing parents cannot agree on those best interests. As such, divorcing couples may require the assistance of an experienced Illinois family law attorney that can help them come to an amicable agreement regarding a parenting plan or help them to find a custody evaluator that may meet their needs. How Are Expert Witnesses Utilized in a Divorce? Even in the most straightforward, amicable divorce, the process is not simply completed between the divorcing partners. 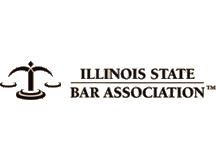 Generally, each spouse retains his or her own lawyer and in many divorces, other professionals become involved in the process to ensure that the couple's settlement complies with Illinois law. 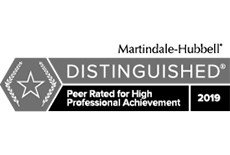 These other professionals are known as expert witnesses. They provide insight to issues present in the couple's divorce based on their own professional experience and this insight is used to make fair determinations regarding the division of the couple's assets, their parenting time and child support agreements, and their spousal maintenance agreement. 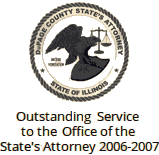 While divorce decrees in the State of Illinois are considered "final" once they are admitted to the court, there are circumstances that warrant post-decree modifications. Whether one party's financial situation changed and post-divorce child support or spousal maintenance awards must be updated accordingly, or if one of the parents wishes to move a marital child out of state, any official changes to the divorce decree require court intervention. Hiring an experienced post-divorce decree modification attorney will ensure that the process is completed as expeditiously as possible while ensuring fairness to both parties. Is Mediation Right for My Case?